The stretch of Interstate 10 from San Antonio to El Paso is about 550 miles. You can drive it in under eight hours (the speed limit is 80 mph in many places) if you don’t stop for a Whataburger or gas. I-10 runs through Texas’ 23rd Congressional District, an expanse that stretches along the western side of the state from the border of New Mexico to the border of Mexico. It’s hard not to be impressed by the enormous size. Spanning nearly 58,000 square miles and two time zones, the district is more than twice the size of West Virginia. It’s stunning that all of that space is represented by just one member of Congress. But fewer than one million people live in TX-23. And most of those people live in or near El Paso and San Antonio, plus the towns of Del Rio and Socorro. Except for its size and ethnic makeup, the Texas 23rd Congressional District resembles many other parts of America: major metropolitan areas at both ends with posh middle-class suburbs and working-class neighborhoods, and large rural areas in between. The population is 68.3% Hispanic or Latino of any race, and 31.7% not Hispanic or Latino. That’s the seventh highest percentage of eligible Latino voters in the nation. Its residents are also more religious than the national average; Catholicism is the dominant religion. Unlike other Texas districts (and many U.S. House districts in general), the 23rd is politically purple. In 2016, the district voted for Hillary Clinton for president; Clinton carried the district by four points. But voters also sent incumbent Republican Congressman Will Hurd back to Washington. In 2012, Republican Candidate Mitt Romney carried it by three points. It’s one of the House seats that Democrats hope to flip in 2018. 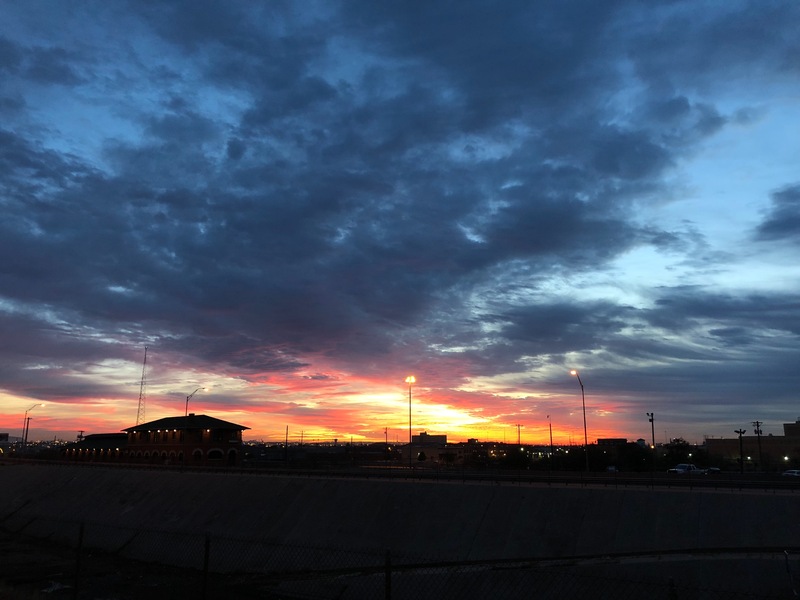 Our trip began in El Paso—or Paso Del Norte—the binational city connected to Juarez, Chihuahua. The Rio Grande River (along with a significant amount of fencing and drainage canals) separates the two large cities. When El Paso is combined with nearby Las Cruces, NM, and Juarez, it makes up a metropolitan area of nearly 2.7 million people. From El Paso, we traveled to nearby Socorro, a working and middle-class suburb. Socorro is El Paso County’s second-largest municipality, with a population of 33,000.1 As a part of Mexico from 1821 to 1848, the town was incorporated in 1985 after “unscrupulous developers built homes in residential subdivisions that did not have paved streets, water, or sewer lines,”2 according to the town’s official website. It since has become an affordable place to live beyond the El Paso border. From Socorro we traveled 200 miles southeast to the towns of Marfa and Alpine. 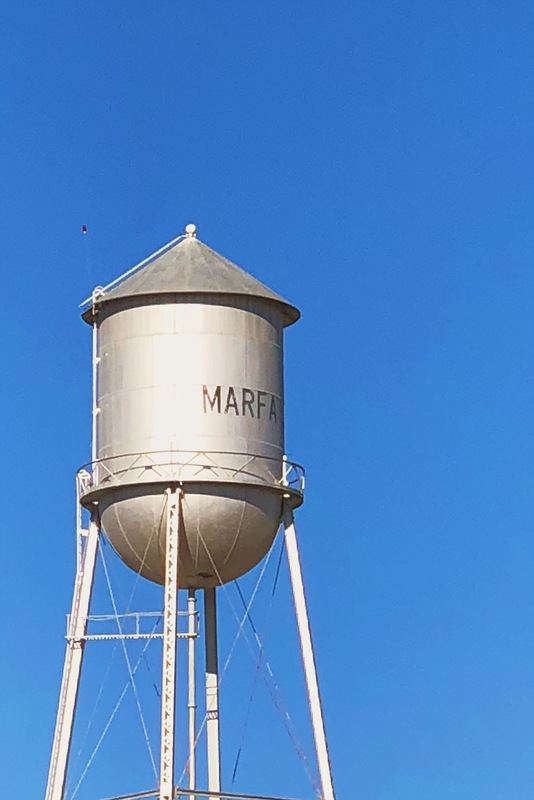 Marfa, famous to many for its “Prada” installment,3 retains a population of around 2,000. Donald Judd, a minimalist artist and designer, bought 60,000 acres of land outside of Marfa, an early 1880s water stop on the way to and from the military bases around El Paso. Finally, we drove another nearly 350 miles southeast to San Antonio. Over the course of two visits, totaling 10 days, we met with 35 people: mayors and municipal officials in El Paso, Socorro, and Fair Oaks Ranch; young professionals and school administrators in San Antonio and El Paso; and faith leaders, healthcare workers and veterans’ advocates in Alpine. El Paso and San Antonio are large urban centers in Texas. Socorro is a working- and middle-class suburb of El Paso, and Fair Oaks Ranch is an upper-middle-class suburb of San Antonio. Alpine is a rural community nearly four hours from El Paso and more than five hours from San Antonio. Roughly half of the people we met with were Hispanic and half of the people we met were white. Each of the conversations we had began the same way: we asked what it was like to live there. And the conversation flowed from there—covering topics like the future for the kids in the area, aspirations and concerns, topics of conversation at a backyard barbecue. If politics came up, we would follow—but we generally didn’t initiate conversations about politics or inquire about participants’ political views. Here is the story of what we saw and heard. 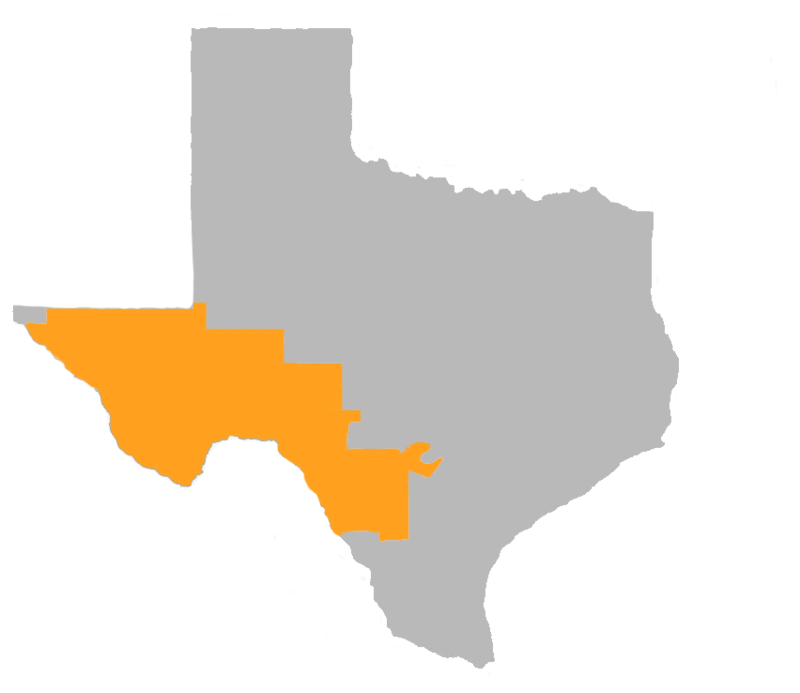 TX-23 first became centered in the stretch of Texas between San Antonio and El Paso (including portions of Bexar and El Paso counties, of course) in the 1992 election. That year, Republican Henry Bonilla defeated incumbent Democrat Albert Bustamante in the race for the congressional seat. Bonilla would hold the seat for more than a decade. The district has since been in the crosshairs of a decade-long legal battle over gerrymandering. In 2006, the district’s boundaries were redrawn after the U.S. Supreme Court ruled that they violated the Voting Rights Act of 1965. The district did not meet the requirements of its majority-Hispanic-district protection status. After new lines were drawn in 2006, Democrat Ciro Rodriguez defeated Bonilla in a December runoff for the seat. Since then, the district has toggled between a Democrat and Republican member of Congress almost every election. Texas’ district lines are still being litigated and will go before the Supreme Court later this year. Despite the district’s proximity to Mexico and its majority Hispanic and Latino population, immigration and President Trump’s wall didn’t come across to us as the big story in TX-23. Instead, the landscape of TX-23 is a tale of three economies. On the western edge, there seems to be a ceiling on El Paso’s economic growth. Its distance from other major cities deters large employers from setting up shop in the area. Alpine, an hour away from the nearest Wal-Mart, is too remote to attract most high-skill professionals. And San Antonio— the nation’s seventh largest city— has qualities that make it attractive to companies by most standards, but it suffers from a skills gap that frustrates local leaders and employers alike. We flew into El Paso on a Sunday evening. Its airport seems small, considering the expansive area it serves. It has just five airlines and 11 airline-dedicated gates. (By contrast, Austin has an international airport with more than 25 gates). El Paso’s airport is festooned with displays of elegant cowboy boots made in Texas and Mexico. At the publication of this report, only a handful of scheduled daily flights travel east of the Mississippi (Atlanta and Chicago). There are no direct flights to New York, Washington, or Boston.7 In contrast, Austin has direct flights to those cities and more. Houston and Dallas have multiple flights a day to London. And north of El Paso, you can fly directly from Denver to Tokyo. Unfortunately for places like El Paso, access to other major cities is an important factor in critical opportunities for economic growth, like when companies decide where to base their headquarters. When we asked, “What are you worried about for the area?” one college administrator mentioned that mid-size cities like El Paso feel very cut-off or secluded from other large cities. There are only a few publicly traded companies based in El Paso, including the cosmetics company Helen of Troy Limited and El Paso Electric. The result of this geographic detachment is that 75% of engineering students leave the area after graduating, according to the college administrators we met. Multiple people we spoke to describe the area, which is deeply Catholic and heavily Latino, as having a family-oriented culture. If students could stay nearby, they would, but job opportunities push them to leave. Those we spoke with said that the missing critical mass of educated people is a net loss for the area and contributes to a vicious cycle that stymies economic growth in the area. In one meeting with a group of seven nurses in Alpine, the topic turned to children and their future. “A lot of our kids that are driven, if they want to do something more, they have to leave this area,” said one nurse who is also a mother. Of course, this is a lament of many families, and something we heard in all of our district visits besides Miami. Miles and miles of sparse land stretch between El Paso and San Antonio. It’s high desert. 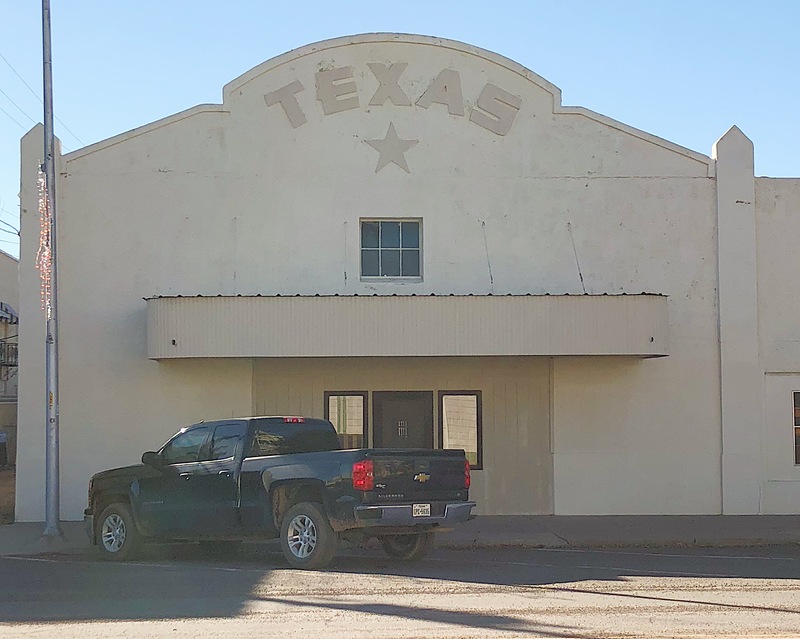 Think Elizabeth Taylor, Rock Hudson, and James Dean in the 1956 movie “Giant,” some of which was filmed around Marfa. In some parts you can see the horizon miles and miles away. At night, the next town over might be 20 miles off, but you can still see its lights. And, near the town of Van Horn, the Guadalupe Mountains announce the descent down to the Pecos River Valley. Houses and towns are few and far between. So are economic opportunities for young people. There was a silence after her comment, as each of the mothers in the room seemed to know that feeling of pride with the hint of sadness that comes with their children leaving home to make a good living. “The closest nursing home is in Fort Stockton,” the local hospital administrator told us. Fort Stockton is an hour’s drive away. “We’ve had some deaths from people traveling back and forth to medical care,” the hospital administrator told us. More than 500 miles southeast of El Paso is San Antonio. Even the distance between the northwest suburbs of San Antonio and the city proper feels huge. Life in in the suburbs can feel vastly different from that in the city. While people who live in San Antonio are deeply concerned about poverty, those in the suburbs worry more about how their towns are growing—economically and geographically. Subdivisions and small residential towns extend into the hill country, known for its rocky terrain covered with plains grasses, mesquite trees, and wildflowers—perfect for raising sheep and goats but not for planting crops. These places feel rural but are still close enough to suburban amenities—grocery stores, Wal Mart, Target, Sam’s Club, Costco, car dealerships, nail salons, hospitals, dentists, movie theaters, and the omnipresent Starbucks are all within a 10-minute drive. The people we met expressed an appreciation for country life but still wanted to be close to these services. And that comes at a price. Texas has long had a reputation for leniency in allowing commercial and residential developments to spread and flourish. Some residents told us that the state government has taken even more power away from municipal governments when it comes to town annexations—the way towns grow and incorporate new land. Suburbs in TX-23 are growing, but the residents often feel they have little or no say in how it will continue. “We’ve got jobs—Toyota, USAA, great employers,” a young professional woman said, but there aren’t enough skilled workers to fill them. We heard similar concerns in smaller cities in New Hampshire, Wisconsin, and Arizona. Driving east from El Paso on Interstate 10, around 30 minutes from the town of Van Horn is the Sierra Blanca U.S. Border Patrol Checkpoint. It looks like a 20-foot tall carport with a double-wide trailer attached—expansive but hollow. Three lanes of traffic can fit under it, though the night we drove through only two lanes were open—one for cars, one for trucks and buses. All traffic comes to a stop and the agent asks if everyone in the car is an American citizen. With a simple “yes, sir,” we were waved through. Some famous busts have taken place here, from Snoop Dogg to Willie Nelson, giving it the nickname “checkpoint of the stars.”15 The border agents are looking for two things: illegal immigrants and drugs. Nevertheless, considering that TX-23 would be hugely affected by Trump’s wall, we were surprised how little the topic of immigration came up. The sprawling district shares roughly 600 miles of border with Mexico, nearly one-third of the entire U.S.-Mexico border.16 But only two of the 35 people we met with mentioned the wall. One had a strong negative opinion about it, and the other just blew it off with an actual brush of his hand. Instead, the people we spoke with seemed to equate the border and immigration with the conspicuous presence of law enforcement in the area and a feeling of security. “Homeland Security has a big footprint here,” an advocate for Veterans in one small town told us matter-of-factly. This might be an understatement. During the eight days we spent there, we were passed by a half-dozen different-colored police vehicles, from municipal and county police, state troopers, Border Patrol, Homeland Security police, and the National Park police. A county commissioner mentioned more: ICE, FBI, and DEA. The layering gives many residents we met an impression of security as well as employment in a region lacking in economic development. Public-sector jobs make up a sizable chunk of employment in the district. In Marfa, 14% of people are employed in public administration17; the number of people employed in public administration jobs in El Paso is closer to 8%18 and in San Antonio it’s around 5%19. There are also several military bases, such as Fort Bliss near El Paso, that adjoin the district and play an important role in the region’s identity and economy. On one day of our visit, we crossed the border into Juarez at 7 a.m. On our way south, we were part of a handful going in that direction. But just an hour later, we returned, heading north during rush hour. As we made our way toward the Paso del Norte Bridge, the line of cars and trucks stretched several blocks. Hundreds of pedestrians made their way into the border crossing to be screened by Customs and Border Patrol. But the lines, 60 people deep, only took 30 minutes to clear. The vast majority of people crossing the border go north in the morning and go south in the evening, but some do live on the US side and work in Mexico. Throughout our first five visits to districts around the country, the frequency and the way people we met with spoke about politics varied quite a bit. Here in TX-23, politics came up a lot. Nearly every group and individual we met with in TX-23 told us politics, both national and local, frequently comes up at barbecues, quinceaneras, and other gatherings. Our trip took place months before the revelations about Facebook and Cambridge Analytics, making it, in hindsight, especially notable how many people we spoke to about politics who zeroed in on the role social media is playing in the fraying of the political climate and deterioration of civility. We also heard much about the disconnect between Washington and the people and places it’s supposed to represent. We’ve heard this sentiment regularly on all of our visits around the country— and in every group we spoke to in TX-23. Another person shared this frustration with Washington, but was dismissive of Trump’s potential to change things from the White House. Instead, Congress was where change is most needed. Somewhere along Interstate 10, between El Paso and Van Horn, the driver hit the “seek” button on the FM radio. Like other motorists on long, lonely stretches have done, we watched as the numbers went from 88.1 to 107.9 without stopping, starting over again at the bottom and cycling through several times. Half amused, half disappointed, we turned the radio off. On every visit before this, the time we spent in the car traveling from spot to spot was, at most two hours. On this Texas trip, we spent a total of 9 hours in the car, five hours from Alpine to San Antonio alone. As much as technology has been a boon to many, its benefits haven’t been universally felt—and this was made very clear to us in the three very distinct experiences observed across one single congressional district. Access to transportation and capital plays such an essential role in the economic well-being of a place, and we heard here how that access can create a virtuous circle in a select few places, while excluding other places altogether. In so many ways, technology has made the country feel like a much smaller place than it actually is. One can get from San Francisco to New York in five hours. We can communicate in real time with people who are multiple time zones removed from us. And we can almost instantaneously access information from a seemingly infinite number of sources. But our visit to Texas’ 23rd district reminded us just how big our country is, and how real the distance is between places that are not that geographically far apart. “U.S. Census Bureau QuickFacts: Socorro City, Texas.” Census, United States Census Bureau, 1 July 2017, www.census.gov/quickfacts/fact/table/socorrocitytexas/PST045216. “About.” Socorro Texas, City of Socorro Texas, ci.socorro.tx.us/about/. La Force, Thessaly. “The Evolution of Prada Marfa from Sculpture to Pop Culture Landmark.” Vogue, Vogue, 1 Feb. 2017, www.vogue.com/article/prada-marfa-visit-texas-elmgreen-dragset-art-vandalism. “Quick Facts.” Sul Ross, Sul Ross State University, www.sulross.edu/page/1907/quick-facts. Fanning, Rhonda. “Race For Texas' 23rd District Likely To Be Among The Nation's Fiercest.” KUT, 25 Apr. 2017, www.kut.org/post/race-texas-23rd-district-likely-be-among-nations-fiercest. Ramsey, Ross. “Analysis: Three Texas Races Could Be 2018's Political Harbingers.” The Texas Tribune, Texas Tribune, 5 Jan. 2018, www.texastribune.org/2018/01/05/analysis-three-texas-races-could-be-2018s-political-harbingers/. “Flights.” El Paso International Airport, 2018, www.elpasointernationalairport.com/flights. Kolenc, Vic. “El Paso Economic Growth to Slow in 2018, UTEP Forecasts.” El Paso Times, Rudy Gutierrez / El Paso Times, 10 Jan. 2018, www.elpasotimes.com/story/news/2018/01/08/el-paso-economy-employment-forecast-utep-economists/998433001/. Sharf, Samantha. “Full List: America's Fastest-Growing Cities 2018.” Forbes, Forbes Magazine, 28 Feb. 2018, www.forbes.com/sites/samanthasharf/2018/02/28/full-list-americas-fastest-growing-cities-2018/. Brezosky, Lynn. “2017 Was a Robust Year for Hiring in San Antonio.” San Antonio Express-News, 20 Jan. 2018, www.mysanantonio.com/business/local/article/Statewide-jobless-rose-slightly-in-December-12510473.php. Board, Express-News Editorial. “Seeing San Antonio's Endemic Poverty.” San Antonio Express-News, 22 Jan. 2017, www.mysanantonio.com/opinion/editorials/article/Seeing-San-Antonio-s-endemic-poverty-10872728.php. Dimmick, Iris. “As Nation's Poverty Rate Declines, San Antonio's Increases.” Rivard Report, 19 Sept. 2017, therivardreport.com/as-nations-poverty-rate-declines-san-antonios-increases/. Nirenberg, Rob, and Nelson Wolff. “San Antonio.” My San Antonio, 11 Oct. 2017, www.mysanantonio.com/file/247/8/2478-Wolff%20Nirenberg%20letter.pdf. “The Best Little Checkpoint in Texas.” Texas Monthly, Texas Monthly, 15 July 2013, www.texasmonthly.com/articles/the-best-little-checkpoint-in-texas/. Magazine, Politico. This Texas District Spans One-Third of the U.S.-Mexico Border. POLITICO, 3 May 2017, www.politico.com/magazine/gallery/2017/05/05/texas-23rd-congressional-district-border-will-hurd-000726. “Marfa, TX.” Data USA, 2017, datausa.io/profile/geo/marfa-tx/. “El Paso, TX.” Data USA, datausa.io/profile/geo/el-paso-tx/. “San Antonio, TX.” Data USA, 2017, datausa.io/profile/geo/san-antonio-tx/. Aguilar, Julián, and Alexa Ura. “Border Communities Have Lower Crime Rates.” The Texas Tribune, 23 Feb. 2016, www.texastribune.org/2016/02/23/border-communities-have-lower-crime-rates/.